Rocklin is also one of the safest communities to live in. In fact, when it comes to property crime, there is only a 1 in 57 chance of becoming a victim in Rocklin, compared to 1 in 38 for all of California. And violent crime is almost nonexistent, with only a 1 in 933 chance of becoming a victim in Rocklin, compared to 1 in 249 in the rest of California. The area of modern-day Rocklin, like most of the region, was first settled as a function of the Gold Rush. When the transcontinental railroad was completed, Rocklin became a popular stop in 1864 and was officially incorporated in 1893. By 1910, gold was no longer being panned from the hills but the granite industry was in full swing, attracting Irish, Spanish, and Finnish immigrants. In fact, granite unearthed in Rocklin was used to construct the state capitol building in Sacramento and many other buildings in San Francisco. The first residential development sprung forth when the 30,000-acre Whitney Ranch was subdivided in the 1950s and 60s, giving birth to the Sunset Whitney neighborhood. High tech firms and other industries began relocating to Rocklin in the 1980s, attracted by its educated work force, low cost to do business, and proximity to Sacramento. Since then, the Stanford Ranch, Whitney Oaks, and Whitney Ranch neighborhoods have been well developed. 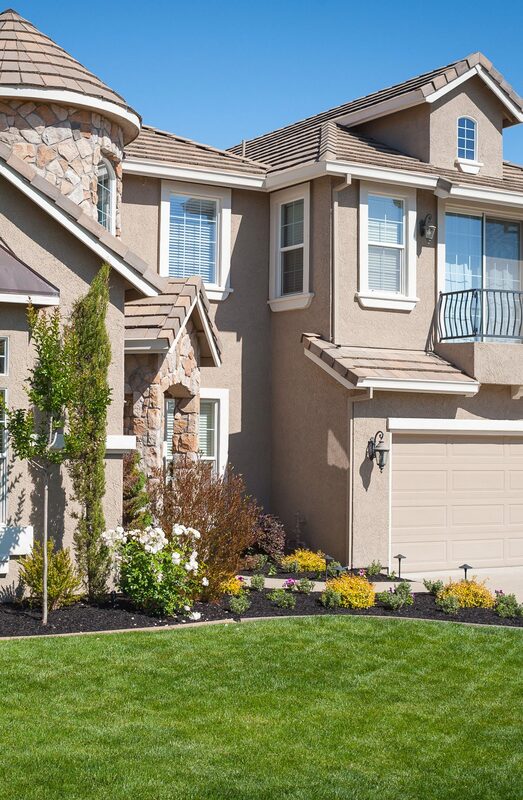 Rocklin is an incorporated city located in South Placer County only 30 minutes or less from downtown Sacramento. Spanning zip codes 95677 and 95765, Rocklin has an ideal position adjacent to the Sierra Nevada Mountains and the Sutter-Butte range, less than 2 hours from San Francisco and the same to Lake Tahoe. Since the year 2000, Rocklin was one of the fastest growing cities in California, with a population that rose 64% to it’s present level of 60,000 residents. Rocklin, like most of the Sacramento-Metropolitan Area has a hot Mediterranean climate. Rocklin boasts a comfortable spring and fall averaging 70 degrees. Summers feature a dry heat with the average temperature in July around 95 degree with colder winters averaging 43 degrees in December. Despite the chilly temperature, Rocklin is located below the snow line so snow fall in Rocklin is a rare occurrence with the last significant snow day dating back to December 2009. The city averages about 21 inches of rainfall a year and over 250 sunny days. Rocklin has a diverse economic base and strong job opportunities for residents, with a paltry unemployment rate of 4.3%, significantly lower than the rest of Placer County (6%), Sacramento (6.9%), and California (7.3%). The median household income in Rocklin is $79,678, well ahead of the national media of $58,328. Major employers include the Rocklin Unified School District, Oracle America, Inc., United Natural Foods, Inc. (UNFI), and Esurance Insurance Services, Inc., all employing more than 500 people. And although granite mining ended in Rocklin in 2004, jobs are picking up in the solar, education, and media sectors. Rocklin residents enjoy a myriad of great options for entertainment and recreation. The Rocklin Historical Society Museum, Maidu Interpretive Center, Aerospace Museum of California, and Joss House Museum provide inspiration for curious minds. Other activities you can do with the whole family include: the Studio Movie Grill, LaserCraze, and an Indoor Trampoline Park. Golfers can tee off at the scenic 18-hole Rocklin Golf Course or Whitney Oaks Golf Club, open to the public. In fact, Rocklin has 30 public parks for recreation and sports, including an 18-hole disc golf course. Real estate sales in Rocklin are always vigorous because of the desirable location, great school system and low crime rates. Correctly priced homes often sell for asking price or higher without much time on market. Out of the approximately 20,933 households in Rocklin, 66.3% are owner occupied, while 33.7% are inhabited by renters. The school system in Rocklin is stellar, with four individual schools rating 10 out of 10 according to GreatSchools.com – Valley View Elementary, Rocklin Academy, and Rocklin High School. Rocklin residents are well educated, with over 42% of adults over 25 earning bachelor’s degrees or higher. It’s home to two colleges: Sierra College and William Jessup University and both the University of California, Davis and Sacramento State University are just short distances away. As of 1910, 22 granite quarries were operating in Rocklin. These granite mines were so bountiful that in 1912, nearly 2,000 train carloads of granite were shipped out to become part of the state capitol building and buildings in San Francisco.